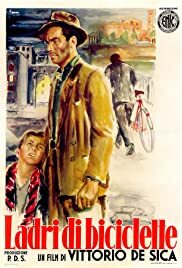 There's not much that can be said about "The Bicycle Thief" that hasn't already been expressed. 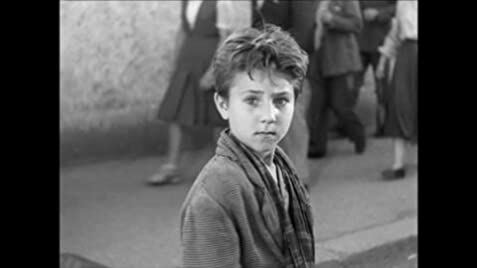 It is considered a great work of the Italian cinema, and looking at it in its 1999 release version, one can see why. Structurally, it's a theme and variations, with such a simple, clearly stated main motif that one can identify and follow its mutations with no effort. DeSica is clearly the fine craftsman here, directing every scene with a beautiful sense of control and balance. His work with young Enzo Staiola (as Bruno) is especially commendable, and he allows then nonprofessionals Lamberto Maggiorani (as Antonio) and Lianella Carell (as Marie) to act in a model of naturalism. Carlo Montuori's photography is brilliant, and Antonio Traverso's production design is pungent and atmospheric. Like most "masterpieces," a film-classic score provides emotional depth in a subliminal way: here it's a romantic, Italianesque original composition by Aessandro Cicognini wraps up the entire production.